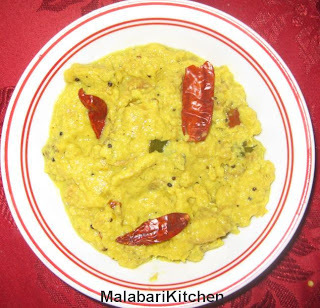 Kaalan is a Keralite dish made using yogurt, coconut and vegetables. Kaalan is very thick and is served as a part of Sadhya. Whether it is Onam Sadhya. Marriage Sadhya or any Sadhya it is incomplete without Kaalan. 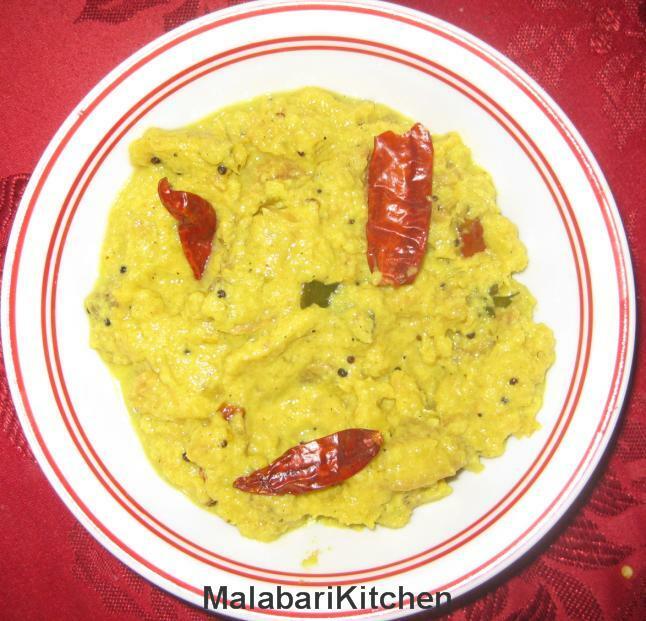 The preparation of this sour dish differs in different part of Kerala. This was the first dish that my mother in law taught me to make. =►Peel the skin of vegetables ( Raw banana and Yam) and slice it into small pieces. =►Take a vessal. Add 2 cup of water and little bit turmeric powder to it. Add the above cut vegetables and keep it aside for 10 minutes. =►Grind separately 1 cup of coconut and 2 cups of curd. =►Grind 1 cup of coconut, cumin seeds, green chilies and curry leaves. Add a little bit water to make a smooth paste. =►Drain the vegetables from the turmeric water made in step 2. =►Cook these vegetables in 3 cup of water and add the remaining turmeric powder, chilly powder and salt to taste. =►Cook it for 20 minutes. Make sure that the vegetables are not undercooked. Mash the cooked vegetables. =►Add the grinded coconut-curd paste (step 3) in to the cooked vegetables. Shallots and curry leaves. Add this to above cooked mixture. =►Thick sour kaalan is ready . Note: Make sure that the curd being used is enough sour.